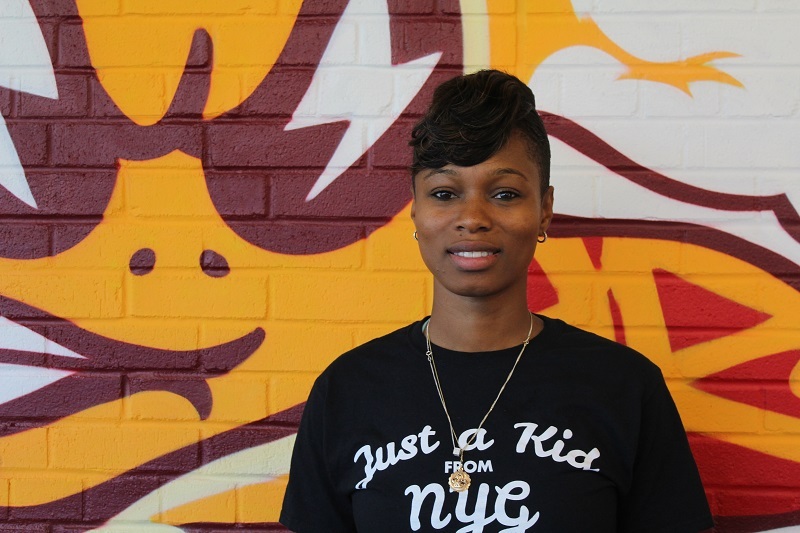 “Nothing beats experience.” That’s what the head coach of the Concordia Stingers women’s basketball team, Tenicha Gittens, said she believes. She is counting on experience and chemistry to lead her team to a successful 2017-18 season. With two seasons worth of experience as a head coach, and a team with many returning players, Gittens is looking to build upon last year’s incredible season. Despite finishing in fourth place in a five-team division with a 7-9 record during the regular season, the Stingers were able to make it all the way to the final of the Réseau du sport étudiant du Québec (RSEQ) last season. They upset first-placed Laval Rouge et Or in the semi-final before losing to the McGill Martlets in the final. Throughout this year’s training camp, Gittens has noticed the team is more comfortable with her systems, both on offence and defence, which gives her confidence in the team’s ability to implement them in games. According to Gittens, players are now familiar enough with these schemes that she doesn’t need to keep teaching them every practice. Instead, she can focus on other aspects of training. This kind of familiarity with Gittens’ strategies gave players a head start coming into training camp, and made it easier for new players to adjust to the team. Latifah Roach looks for an open teammate against the McGill Martlets during the 2016-17 season. Archive photo by Ana Hernandez. Familiar faces are not the only advantage this team has going into the 2017-18 season. There are also some recent additions which should help bolster the lineup. Ashley Moss, who missed the entire regular season and playoffs last year with a torn anterior cruciate ligament (ACL), is now healthy and ready to contribute. At 5-11, she brings athleticism and versatility to the team, being that she can slot in at either guard or forward. Coralie Dumont is another exciting new addition. She is a lengthy 6-1 guard who, according to Gittens, can stretch the floor with her three-point shooting. She averaged double digits in both points and rebounds in her three years playing for the Champlain St-Lambert Cavaliers in CEGEP. On paper, both players should help improve the team’s offensive rebounding, which finished dead last in the division last season at 30.4 rebounds per game. The tournament also allowed Gittens to evaluate all the strengths and weaknesses of her team. One principle she sought to improve on going into the tournament was ball movement—the team was middle of the pack in assists per game last year with 12, and near the bottom of the division in overall field goal percentage at 35.2 per cent. Good ball movement would help secure more open shot attempts to increase their field goal percentage. While there is always room for improvement, Gittens is confident in the group of players she has in front of her. According to the head coach, the speed and athleticism of her players enable them to form a solid team identity. They are a hounding defensive unit, as shown by their league-leading 10.1 steals per game last season. On offence, Gittens added, they are a speedy transition team with solid shooting. The Stingers play pre-season games for the rest of October. They will tip off their regular season at home on Nov. 9 against the Bishop’s Gaiters.